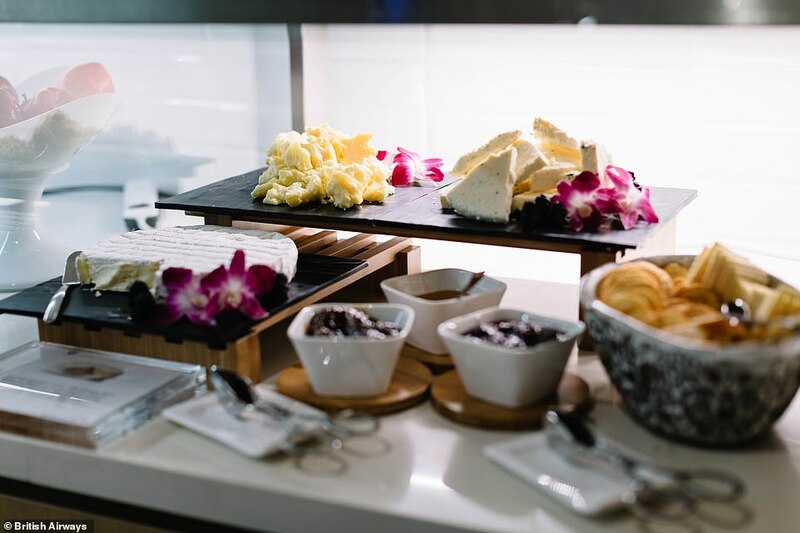 Airport lounges are beginning to get a bad press. 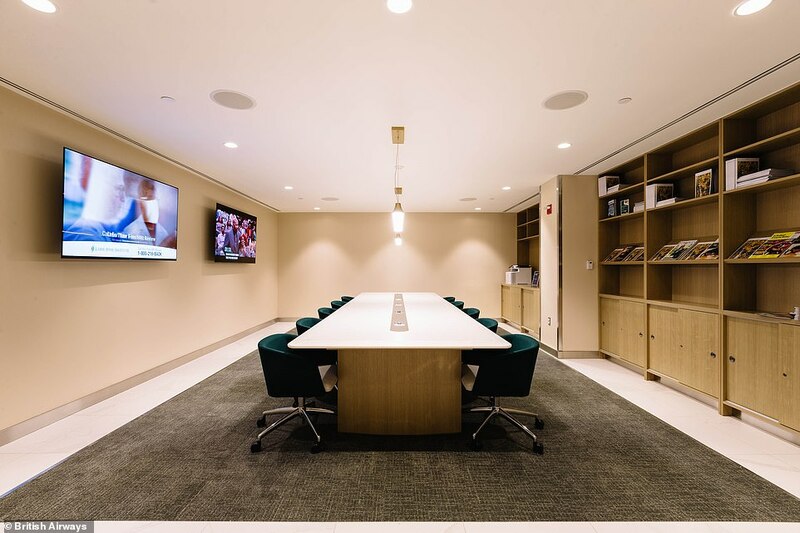 Just recently U.S pilot and author of the best-selling Cockpit Confidential, Patrick Smith, bemoaned how standards are dropping. He complained that they are often ‘jam-packed’ with ‘noise levels off the charts’. 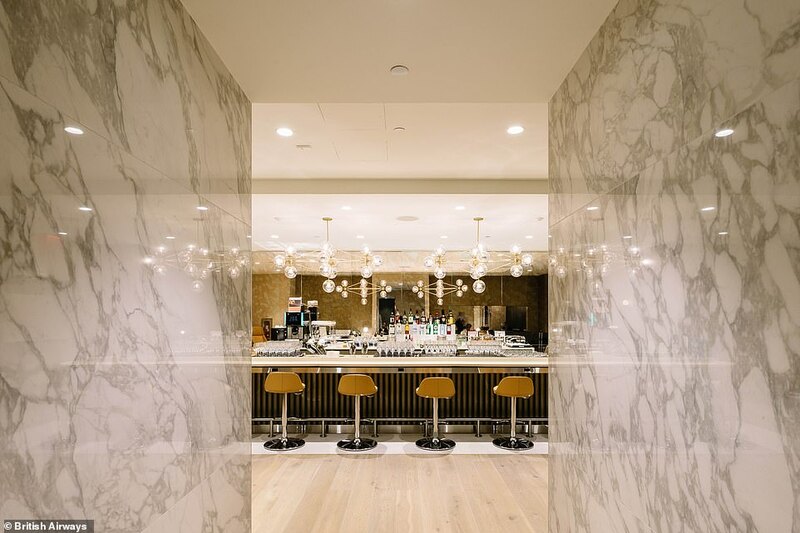 But it’s not likely there will be too many complaints about British Airways‘ new first class lounge at New York’s JFK Airport – because as these pictures reveal, it’s rather special. 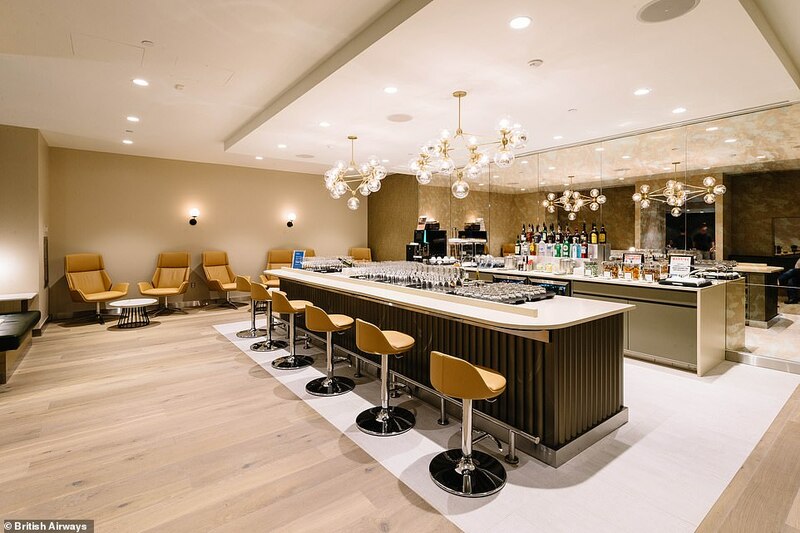 The airline has now officially opened the doors to the luxurious new lounge at Terminal 7, which forms part of a £52million investment at the New York hub. 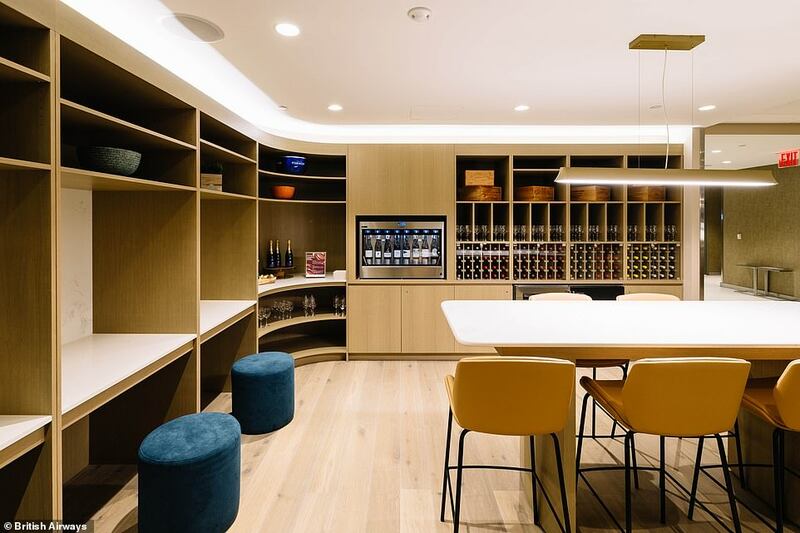 It is 60 per cent larger than its predecessor and covers more than 5,480 square feet – and has been designed with ‘tailored zones’. 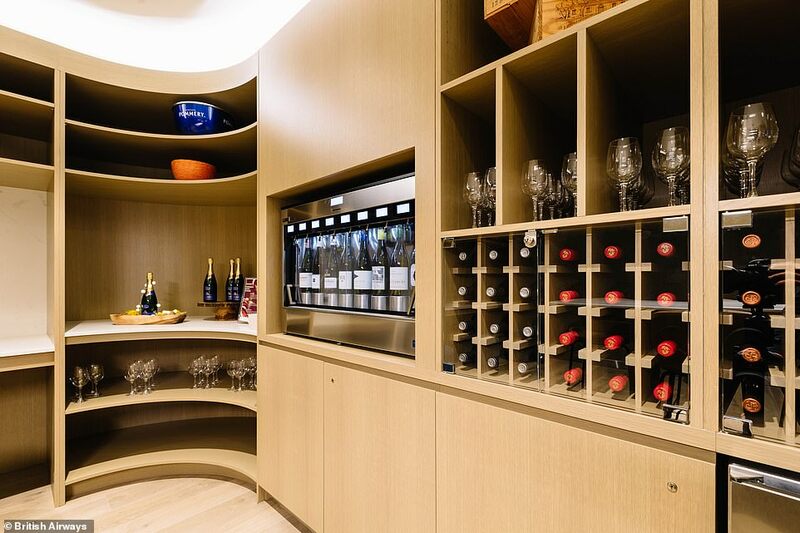 The centre-piece is a new wine room that boasts a dispenser that gives customers wines to enjoy at exactly the right temperature and that have been oxidized to the correct level. 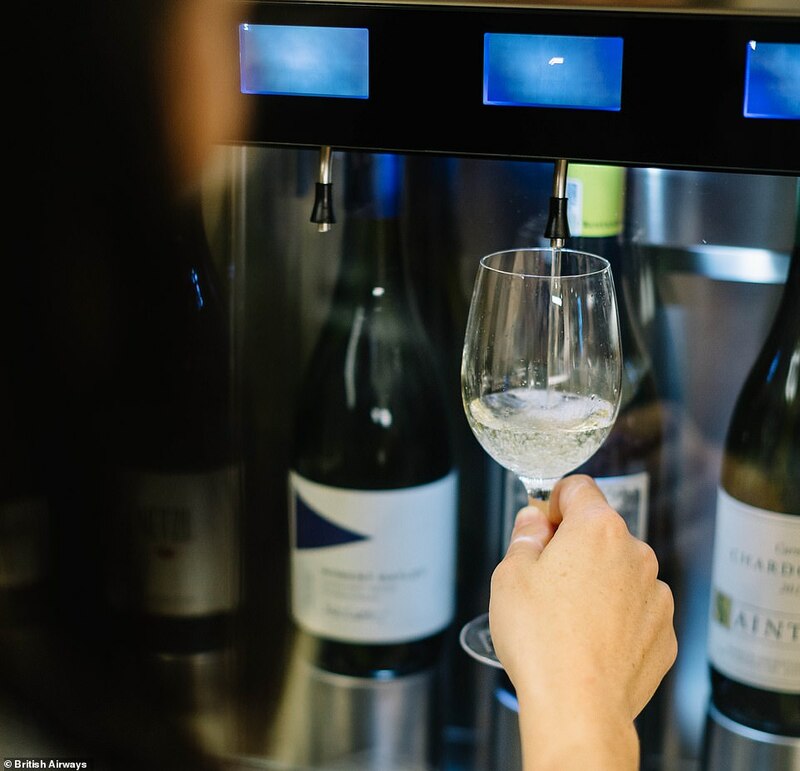 Those lucky enough to experience the lounge will also be able to sample ‘flights of wine’ – a selection of different wines linked to a theme. The current theme is ‘Chardonnays of the world’. 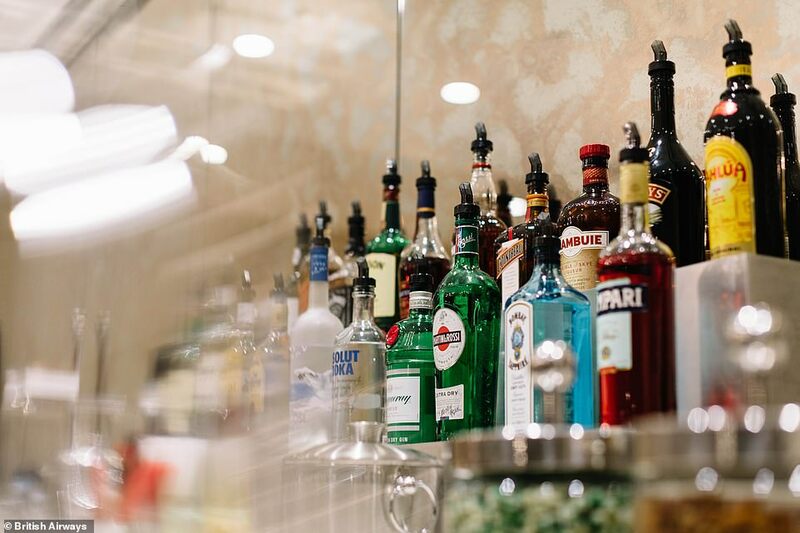 Other features includes an opulent first class bar with ‘a wide range of premium beverages and a quiet work area’. 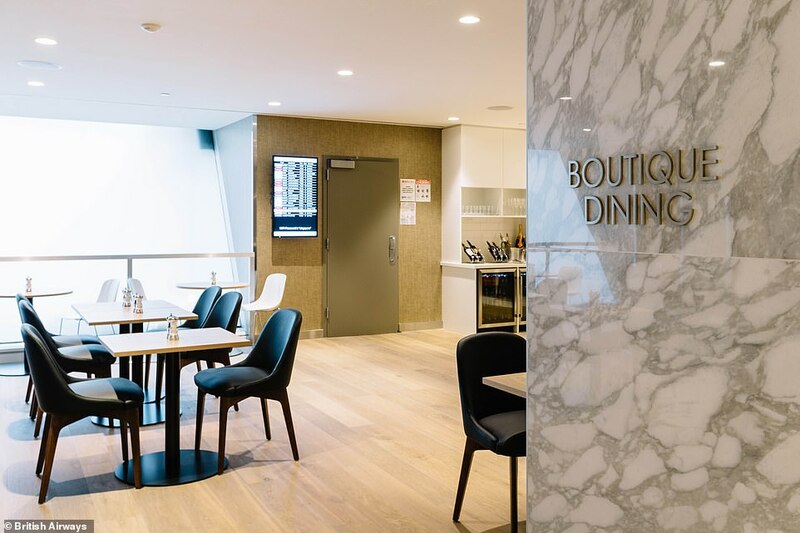 Meanwhile customers can also dine in the airline’s upgraded dining room before they fly thanks to a new ’boutique’ menu created by executive chefs Gavin Mackenzie and Waylon Walker. 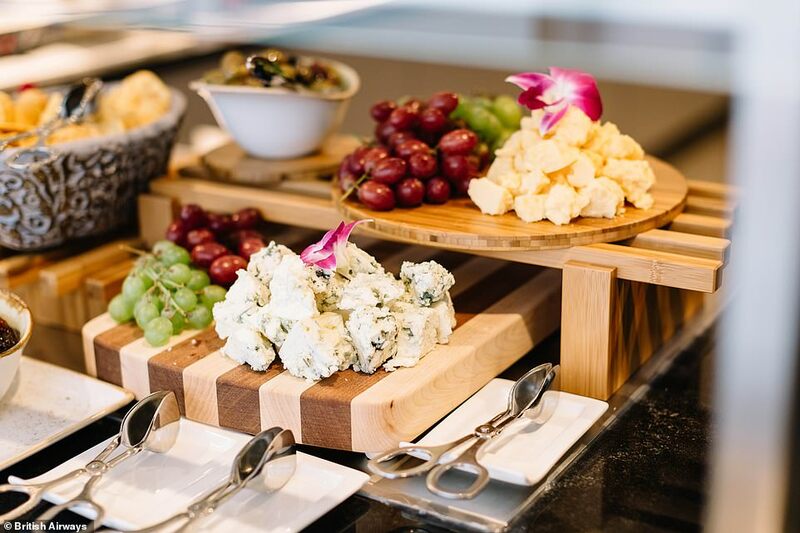 The menu will include dishes influenced by the season, as well as a new ‘bowl food’ concept designed to offer customers a lighter option before they board their flight. 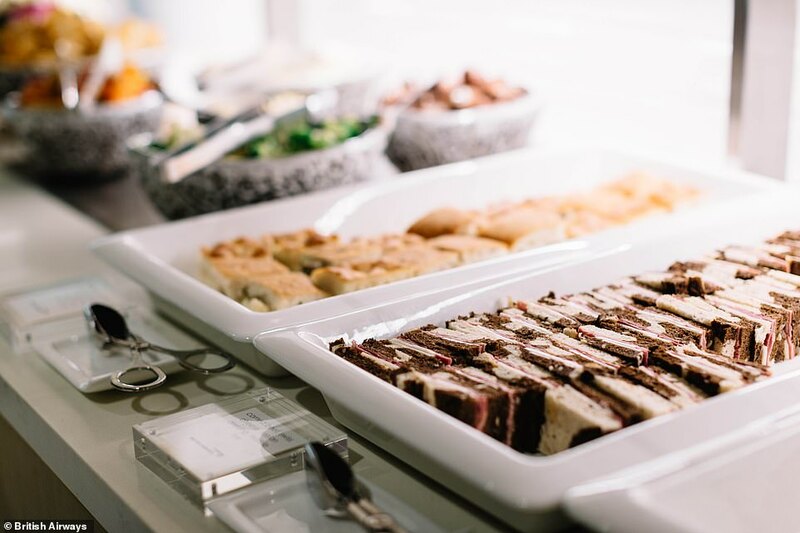 Carolina Martinoli, British Airways’ director of brand and customer experience, said: ‘We fly thousands of customers between London and New York every week so we’re absolutely dedicated to making the experience as relaxing, comfortable and enjoyable as possible. 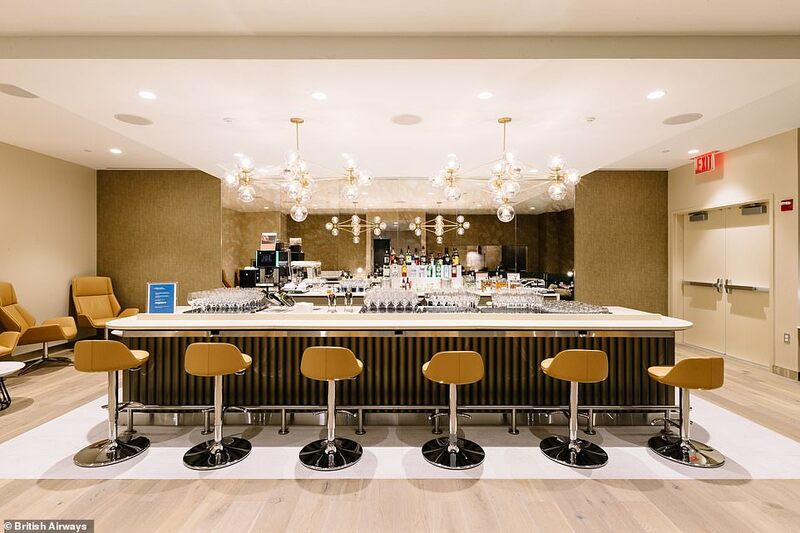 ‘We are investing £52 million in to our home at JFK this year as part of the £4.5 billion investment we’re making in our customer experience globally, and there will be further investments at JFK planned for the future. 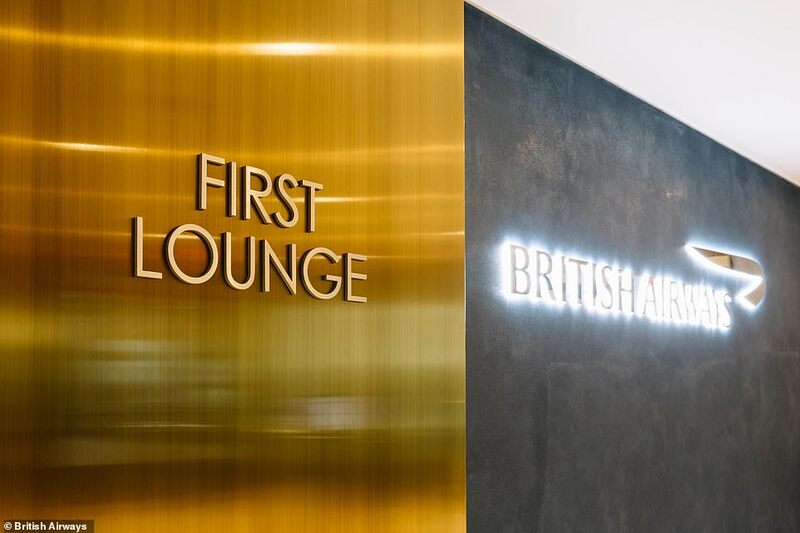 The opening of British Airways’ new first class lounge at Terminal 7 is one of a number of changes the airline has already made at JFK this year. 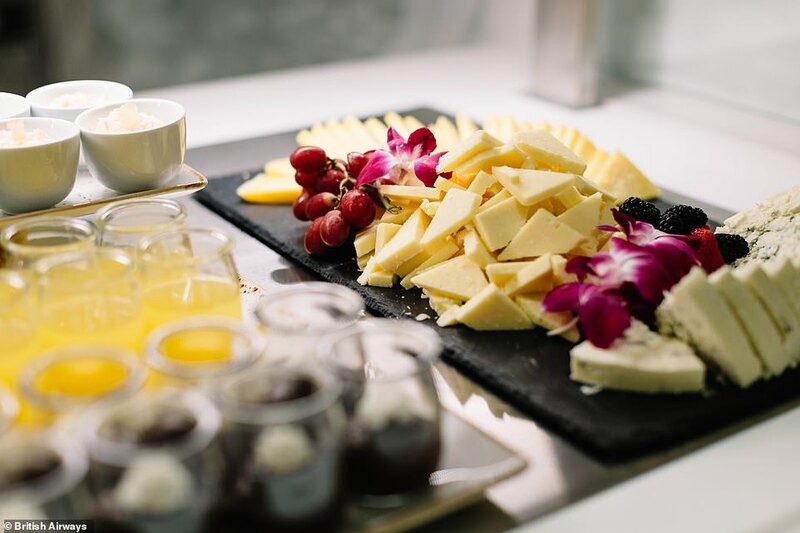 The Concorde Room for first class customers has been refreshed and passengers flying in the first and club world cabins now also enjoy an enhanced check-in experience at the new premium zone, with direct access to fast track security. 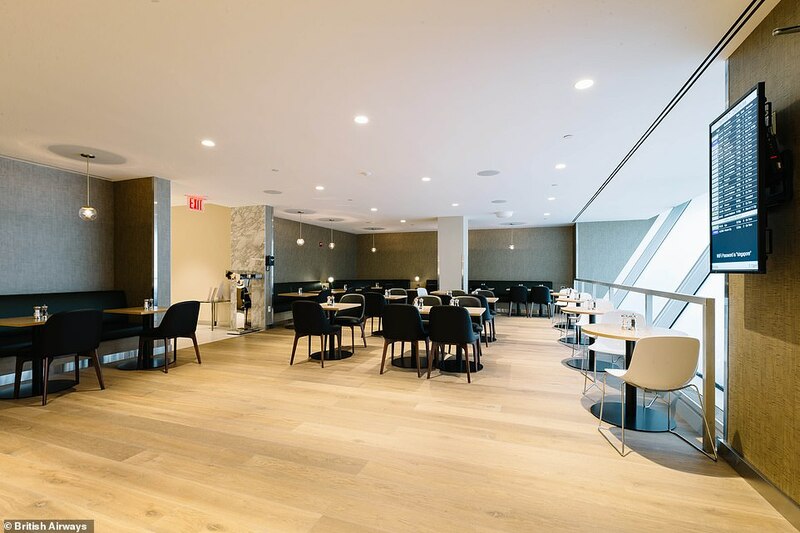 The airline has also upgraded the main concourse for all customers adding extra seating in the gate areas and increasing access to power for customers to charge their electronic devices before flying. Security and check-in zones have been redesigned to enhance the look and feel of the terminal and speed up the process of travelling through the airport. Customers can also now use updated washrooms and a new customer service desk, providing further assistance in the departures area. 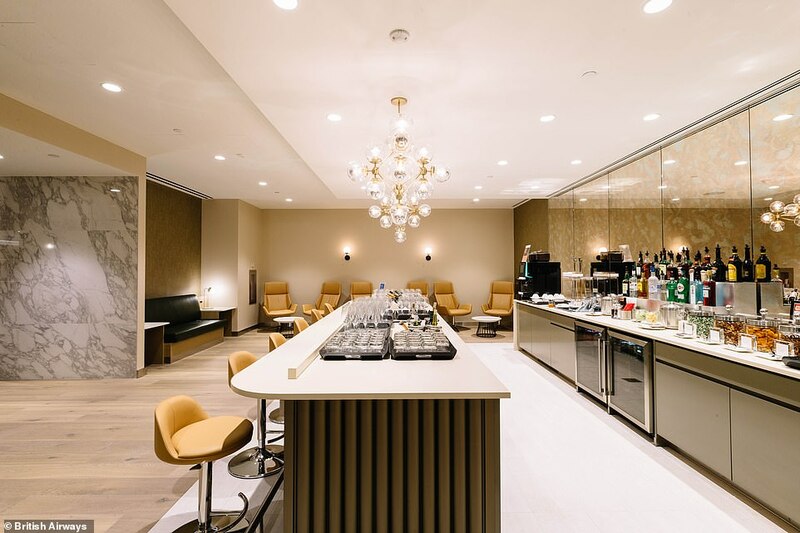 The new first class lounge at JFK is open to gold cardholders and those travelling in the first class cabin. 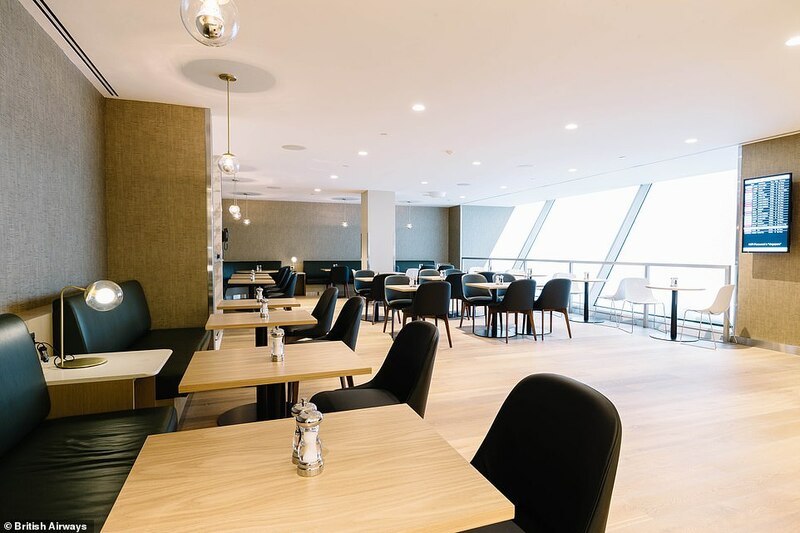 The same design of lounge is already available to BA customers in Rome and Aberdeen and is set to be rolled out across other destinations including Geneva, San Francisco and Johannesburg.